"A journey through life to inspire others"
Click to see some random images! An amazing poll app: “Socrative”! Just after the October-22 event of the fruit company, Apple! WebQuests: not a state-of-the-art tool, but an effective one when designed carefully! Language& Thought: Is blue really blue or could it be green for some? Perfectly amazing mobile apps to remote access to your MAC/PC! Quality Matters more than Quantity: Promoting your blog posts! The time has come to officially announce my website! Two dramatic videos on ‘education’ + a bonus hilarious one! Zeynep Urkun, introducing Graddol hilariously! These are the words by Zeynep Urkun during her welcome speech and introduction of David Graddol who later gave his plenary talk on the extraordinary growth in the learning of English around the world in relation with economic development. Urkun’s introduction was really enjoyable and creative since she listed some significant world events having happened and highlights at the same time with Graddol’s birth. This really warmed the atmosphere. It also made me think how quickly everything was changing, and also a person might have a long journey from birth to the present where the beginning seems really distinct from the end point. Below you can find the whole session and my comments afterwards. Before writing about Graddol’s talk, which is among a few most impressive ones I was looking forward to at IATEFL 2014, Harrogate, I would like to mention his well-known book English Next, which is luckily available for free on British Council’s website and which was published in 2006. The book, as also mentioned by Urkun in her introductory speech, is about the growing importance of English from a fresh perspective, and Graddol in his book reminded us that native speakers of English would be outnumbered by speakers of English as a second or foreign language. For similar studies, you can also refer to research by David Crystal and Braj Kachru. Thanks to these studies, we already know that the considerable number of non-native speakers have a very huge effect on the very nature of English creating different varieties of this world language and leading to concepts like World Englishes. Within the constraints of this post, I also would like to shortly mention Graddol’s plenary. Instead of talking about the already stated role and status of English, Graddol, in his talk, mainly focused on the idea that English brings economic benefits. He also questioned whether the economic rationale is just disguising a new kind of linguistic imperialism, or whether it genuinely brings benefits to those investing in English. One of the most effective aspects of his presentation were the animated graphics illustrating the waves or ripples of baby booms and how it progresses from early ages till these babies become old, and so being dependents. These booms are really important to balance economy, GDP, education, workforce and so on. For a careful and effective planning of language teaching or learning processes, we also need to consider these waves as part of our academic policy. Currently, there is a very serious investment in learning English and people’s attitudes toward this trend is also very vital. At this point, it is also good to mention whether all these people learning English will have a Return on their investment (RoI) meaning whether they will profit more than their have invested. Without going into much detail, there is one more thing I would like mention regarding people’s attitudes toward the role of English. people equal to 99% who think English is required (72%), important (22%), and helpful (4%) in job promotion. As a result of this, the business of learning, teaching and assessing is really a huge industry and it is not difficult to project how it is going to be even more immense in the future. Final points and fruits for thought! s topic and if you are one of the stakeholders in this industry by also thinking about all these following points. Before finishing up, I would like you all to use this opportunity for following everything online and catching up with all others who are physically participating the event. 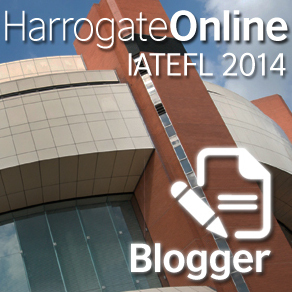 You can do so by visiting Harrogate Online, or exploring twitter with hashtags such as mainly #IATEFL, #iatefl2014, or #iatefl14. In fact, I recommend you to tweet with the 1st hashtag since it is the one used all the time by @iateflonline and @iatefl. IATEFL conference is one of the most popular events in ELT world, and it is a great opportunity for all stakeholders from educators to publishers to come together in order to meet one another and create networks to communicate and share ideas. I have not been able to find a chance to participate in this conference this year which is between April 2-5 in Harrogate, but I was happy to learn that several important sessions and much more are available online via Harrogate Online. You can access several interviews at the moment with conference participants and presenters through the link. I also recommend you to watch the introductory video and welcome message by IATEFL president, Carol Read. What’s more, this year there has been a call for all ELT bloggers to get registered and post their ideas and impressions by watching live sessions. Luckily, since I am really into sharing my ideas and experience with other colleagues, I have also registered my blog and will struggle to post my ideas by watching all possible sessions among all other assignments and things as a PhD candidate here in University of Arizona, Tucson. The opening will be made with David Graddol‘s plenary between 09:00 – 10:15 (UK Time) and I am already looking forward to it since I am closely interested in his views about English as a world language similar to David Crystal. You can also check tweets synchronously by first following @iateflonline, or with hashtags #iatefl2014, #iatefl14 #IATEFL or some others pertaining to special interest groups (SIG). All the sessions that you can watch online are provided at this link and I strongly recommend you not to miss them. If you miss, you can also watch them later on through the same link. You can also find the conference program in pdf format here and check tweets accordingly. All in all, there are so many opportunities for the people who cannot personally participate in this years IATEFL and technology makes it really possible to actively participate even though you might not be physically there. Therefore, I think we love technology and would like to thank IATEFL committee and British Council for making it possible thanks to their effort and determination to make this event open to viewers worldwide.